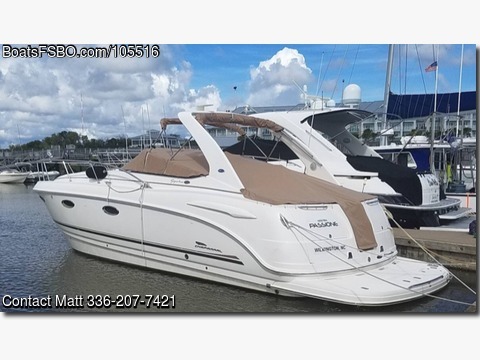 Contact the owner at gotdaboatbug(at)gmail.com or 336-207-7421...2004 330 Chaparral Inboard V-Drives Twin 5.7 Volvo Penta Freshwater cooled. New Canvas Fresh bottom paint 11 gallon upgraded hot water heater.Koehler generator. All extra set of canvas included.